This week's Torah portion is Lech Lecha, which is a banner portion for converts everywhere. While prepping for this week's women's learning group, I happened upon this bit of wisdom from Rabbi Sholom Dover of Lubavitch via Chabad.org. From the time that G-d said to our father Abraham, "Go from your land..." and "Abraham went on, journeying southward", began the process of birurim -- of extracting the sparks of holiness that are scattered throughout the universe and buried within the material existence. By the decree of Divine providence, a person wanders about in his travels to those places where the sparks that are to be extracted by him await their redemption. The Cause of All Causes brings about the many circumstances and pretexts that bring a person to those places where his personal mission in life is to be acted out. It makes me think that perhaps this is why I've lived in at least 13 cities and had more than 25 addresses in my lifetime. Wandering Jew that I am, perhaps when I ask, "What exactly do you have in store for me, G-d?" the answer is staring me right in the face. 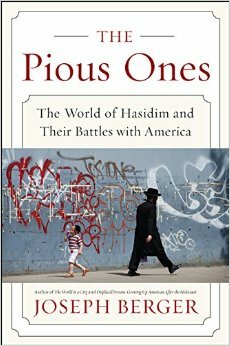 First up is The Pious Ones: The World of Hasidim and Their Battles with America by Joseph Berger. You see, I frequently go into Barnes and Noble and peruse the bookshelves, search out the books at the library or on publisher sites, then get ready to read, read, read. The Pious Ones was one of those books, and a publisher was kind enough to send along a review copy. That being said, the truth of this book is that I'm simply not enjoying it. One chapter in and I felt like the author was skimming the surface of what I was expecting to be an in-depth and honest look at a subset of the Jewish population. Then again, I was expecting something in the vein of Sue Fishkoff's amazing look at, for example, the Chabad community in The Rebbe's Army. I was sorely and sadly mistaken. The stories in The Pious Ones are shallow and paint broad strokes across a community that is so fascinating, deep, and unique. In short, this book left me frustrated and annoyed. I expected so much more from such a mighty title/subject. 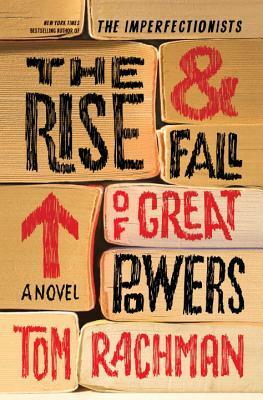 In the world of fiction, I just finished reading The Rise and Fall of Great Powers by Tom Rachman, which I found on my own accord and read simply for the pleasure of it (no sponsorship or review copy involved). I saw this sitting on a new-releases shelf at the local library while Ash was squirming in my arms, and from the moment I started reading it, I couldn't put it down. A story of mystery, intrigue, family, and identity, this book follows the bizarre life of a girl named Tooly. The chapters hop from the present day back to the 80s and the late 90s, as well as the early 2000s while Tooly tries to find her bearings in a world that seems to throw her around willy nilly without much explanation -- but that doesn't seem to bother her. I found myself desperate to figure out the cast of characters, all mysterious, strange, and tied together through one unassuming, special girl. I honestly didn't figure out the storyline until a chapter or so before the big reveal came, and even then there were things that I couldn't have even imagined or suspected. Although I haven't read The Imperfectionists, Rachman's first work, I have to say he's a very creative writer, dedicated to the storyline but utterly committed to developing a cast of characters at arm's length. Up next on the list? I've received a review copy of Rabbi Shlomo Brody's A Guide to the Complex, which from the dozen or so chapters I've read so far is one of the most comprehensive, detailed, and accessible samples of halachic (Jewish law) responses I've ever encountered. I've also started reading The Ice Cream Queen of Orchard Street, which is a pretty quirky and honest look at life on the Lower East Side of NYC from the perspective of a (fictional) Russian-Jewish refugee. Have your read any of these books and have thoughts? Let me know. Also: If there's a book you think I must pick up, please let me know! You see, I'm part of this amazing women's learning group every Saturday morning on Shabbat. 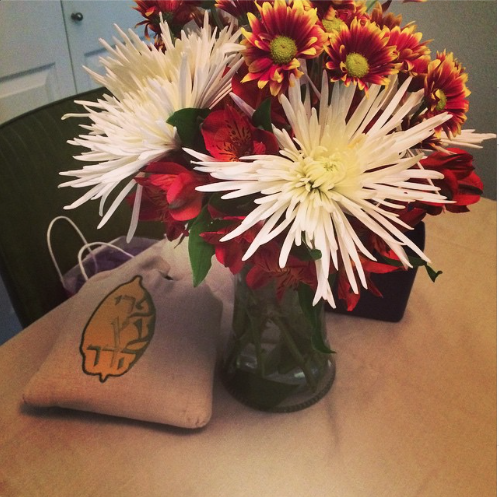 There's roughly 6-8 of us who gather in a classroom and schmooze about our lives and families (occasionally while partaking of delicious home-baked goods and Trader Joe's chocolates) and talk about the weekly Torah portion. 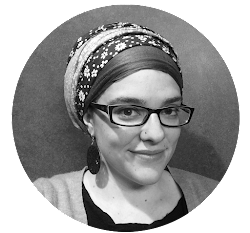 The aliyot (every weekly Torah portion is separated into seven different sections, or aliyot) are dished out to different women who do a bit of reading, studying, and then during our learning share their thoughts, ideas, and what's bothering them. More often than not, there's a "What's Bothering Chavi?" that can't be explained, although I'm utterly elated when someone has an answer or idea to help me out. This week, I was looking back at the first portion of the Torah, Bereishit. In this portion, after the creation narratives (of which there are two versions, by the way), Adam and Chava (or Eve if you prefer the English) eat of the Tree of Knowledge of Good and Evil and are booted out of the Garden of Eden. After being clothed by HaShem in animal hide, they have relations and Chava gives birth to Cain and Hevel (or Abel if you prefer the English). What happens next, most people will tell you is that Cain and Hevel present an offering to HaShem that isn't met with the jolliest of responses, and then Cain kills Hevel, HaShem is none too happy, Cain repents, and so on. Now, what no one seems to discuss is the fact that Cain and Hevel presented an offering to HaShem. We're pretty early on in the story of mankind and all of a sudden these two guys have the wherewithal, knowledge, and impetus to make an offering. So what's bothering Chavi? How did they know to make an offering? Was HaShem expecting offerings at this point? How did they know what to offer? So, do you have any thoughts? Ideas? A quick Google presents some Christians sites discussing the matter, suggesting that HaShem actually made the first offering (to Himself?) on behalf of Adam and Chava when he fashioned their clothing out of animal hide. But ... this just doesn't sit right with me. How often does HaShem say, "Oh, guys, it's all good, let me take care of that for you" ...? Also, the detailed list of the who, what, when, where, why, and how of offerings came much later, so this early rendition of giving seems odd, out of place, and uncomfortable to me. Ready? Set? Chuck your thoughts at me! I had this awkward moment today as I drove Ash home from the Denver Children's Museum (which, much like the local mall, unfortunately couldn't seem to keep grown children out of the play area for toddlers and babies). It was like that moment after a first date where you relive the experience and think of all the places you should have said something or asked a question or laughed or commented or reacted and you, of course, didn't. Except this was the kind of replay I was having in regards to an interaction with another parent there with his child. You see, he immediately engaged Ash and I in conversation. Then there was that awkward silence where I totally should have said something about his kid or lamented being stay-at-home parents or engaged in my sob story about my husband being overseas or we could have laughed about being grownups crawling around on soft play at a children's museum instead of sleeping off a hangover. The only further conversation we even had was about how I usually take Ash to the local mall, but thought I'd mix it up with our free day pass, and he responded, "Yeah, I just have to get this kid out of the house" or something along those lines. But I didn't. I didn't say anything about his child. Or him. Even when I disappeared with Ash and he picked his child back up and came over to us to play after watching as we plodded around the play area. Seriously, it was like I was purposely rejecting this poor man and his very cute child. I felt like a parental/social failure. I seriously have zero social skills when it comes to parenting sometimes. After leaving I couldn't help but think that, here's this stay-at-home dad who is clearly bored as beans and looking for conversation/interaction and I totally just kicked him in the proverbial balls and said "I'm not interested in engaging." Why is there a whole different set of social skills when it comes to parental interactions over drooling, growling toddlers? Today is one of those days that's made for Mumford and Sons circa winter 2010-11. Those were melancholy days where I spent a lot of time on the backroads of Pennsylvania on dangerous, winding roads drifting between a coffee shop and a Poconos bungalow that was never mine. Leaves in burnt orange, rusty red, and deep marigold mixed with splashes of rain all send me back to that place, and Colorado is deep in that weather at the moment. After a three-day holiday (that was the first two days of Sukkot plus Shabbat) home with the little one, where I was reminded -- once again and for the last time -- that I simply can't take Ash out at night, the oddest thing about not having Mr. T around on holidays and Shabbat became apparent. It might seem like minutiae, but there are many things as far as ritual in Judaism that I was never keen on making my own. I know a lot of families where the husband does kiddush (that's the blessing over the wine on holidays and Shabbat typically) and the wife handles motzi (that's the blessing over the challot, or bread). In most communities havdalah (the blessings to mark the end of a holiday or Sabbath) is done at synagogue or handled by the husband at home. Yes, it seems very patriarchal, but for some reason, I really like those aspects of my married life. I've been trying to remember whether, when I was single and religious, I did these things at home, relied on synagogue for them, or just didn't do them at all. Part of me thinks I heard the prayers at synagogue and covered my bases there, but part of me also feels like maybe I just didn't do them when I was alone at home, which is probably why I tried desperately to get meals out on the holidays so I didn't have to do them myself. Does it sound weird? 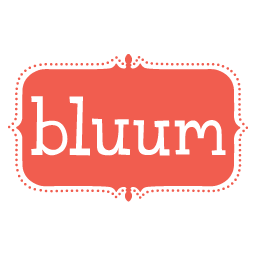 Being so unwilling to do a few simple blessings over some wine or bread once a week? After all, a woman is totally allowed and, in fact, encouraged to make kiddush. There's nothing about a woman not being able to say motzi, either. There's just something that's always been comfortable in my world about having my husband, the "head" of the house, the super-duper, obligated-to-do-so-many-mitzvahs guy, taking control of these ritual acts. I'm all in love with being a progressive, forward-thinking working woman, but some things just feel right a certain way. So I went through the motions, with Ash squiggling about, saying the prayers and inhaling gluten-free challah at a table set for the night meals. We'll repeat the ritual again at the end of Sukkot, too. But I'll be glad when the holidays are over. The thing I keep telling myself is that the pain of separation from a spouse for the potential of months, not weeks, is that this is how people used to live. Husbands would go on trading routes or off to war for months, if not years, leaving wives and children back home to fend for themselves. In those days (even 50-100 years ago), there wasn't Skype or FaceTime or Facebook or texting or other instant forms of communication. There was a hope that -- maybe -- you'd hear from someone in a few weeks or months. In reality, I'm spoiled. I'm lucky. I'm able to chat with Mr. T daily (save the three-day holiday situation and Shabbat, of course). Then again, as a good friend R.C. pointed out, women also didn't have the obligations of full-time jobs back in those days. They stayed home and kept house or ran the shop with hired help or other similar assistance. Although I'm going to miss many months of hearing my husband say prayers over the wine and bread we eat on a weekly basis, I'm blessed to live in the 21st century and in a Jewish community where people are ready and willing to help -- even if I don't always take people up on their kindness. Stay strong, they say, as I do things I had never intended had I ever become a mother. And here I am, a mother, with Ash taste-testing some formula I purchased at Target while shopping for his daycare goodies (bed sheets, blankets, bibs, food) for his first day of impromptu daycare tomorrow. For now, he'll be attending daycare with other younguns every Tuesday and Wednesday, so I can get what little work I have to get done done and search for other jobs and interview for those jobs, and if, b'ezrat HaShem, I get one of those jobs we'll talk about full-time daycare. I lament that I'm trying him out on formula, but this kid is crazy about solid food and seems to only feed at night and in the early morning hours, which means the mommy cow is low on supplies, and, paired with the fact that I've been home basically every day for the past however many months, means we have zero provisions for Ash in the freezer or fridge. He's chugging the stuff. I'm insufficient. But you know what? It's fine. I'm fine. I never wanted to put Ash in daycare. 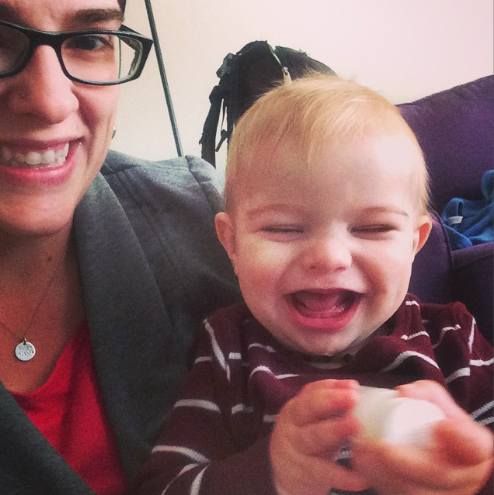 I always told myself that if I did have a kid I'd be a stay-at-home mom, or at least a mom who worked from home and was able to manage with a kid. Why did he leave? Did he know what he was doing when he left? That was a really stupid move. You guys really screwed up. Sorry, there's nothing that can be done. The law is the law. He'll have to transfer his case to the UK or Israel and wait 8-12 months for consular processing. Yes, that means he won't be able to see his son. Yes, that means he'll miss his son's first birthday. Sorry. So there we are. The result was an emergency visit to the local daycare, an explanation of logistics, finances, and realities. We'll see how I do. We'll see how Ash does. I keep telling myself that HaShem doesn't hand us anything that we can't handle. I'm starting to believe that this is a test of strength, commitment, and responsibility. Am I up to the challenge? I have to be. For Ash. Everything's for the Shmoogedy Boo. His happiness and well being are my utmost concern, and ultimately those things are dependent on my own sanity, happiness, and health. Where will this road take us? Who knows. But I must continue to let HaShem guide me and lead me, however obscure and confusing the journey is. I can't help but reshare this infographic for Sukkot. Feel free to print out your own version and hang it up in the sukkah! I have one for ours, even though we won't be building one this year (Mr. T is indefinitely stuck in the UK, so Ash and I are relying on the kindness of strangers for meals, friendship, and sanity). Do you do anything special for Sukkot? Do you have any unique traditions? Let me know!